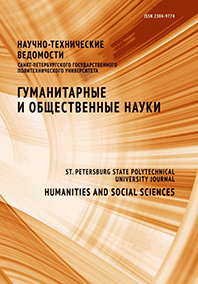 Specific traits of humanities became the subject of discussion in the late XIX century. But this problem remains to be actual now. The article regards specific features of subject-object relations in human sciences taking language as an example. The classical philosophy considers reason as sovereign: it does not depend on something external, in particular on language. Because of that language is being known as any other object. Non-classical philosophy realizes transcendental (in Kantian sense) character of the problems concerning language. It is regarded as a general condition of our experience, because it determines our cognition in a way which cannot be wholly revealed. The same feature characterizes social knowledge as a whole. What we study in it is not some external object, but essential part of ourselves. Sociology of knowledge is another example. It’s thesis that social status determines social ideas calls in question objectivity of social sciences including objectivity of the sociology of knowledge itself. This idea can be used in analyzing other human sciences. They should not try to copy natural sciences: their goal is not to research some external object, but to make human self-understanding deeper.